Complicated legal matters can put an undue amount of stress on an individual. This is especially true in matters involving your property, your family, your business and your future. 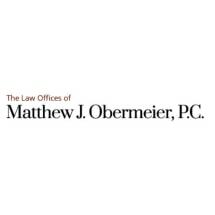 As an experienced attorney serving clients in San Antonio and throughout Texas, I, Matthew Obermeier, can help you find resolution to your legal matter and reduce the anxiety that you experience during the legal process. I work closely with clients at all stages of a case; from day one, you will always know where to turn when you need a trusted adviser or insightful courtroom advocate. As a member of the law firm of Oliva, Saks, Garcia & Curiel, LLP, I am able to combine my personalized service with advice that draws on the combined experience of all the firm's attorneys. In addition, I draw on my knowledge and well-honed legal skills to serve clients with needs related to business formation, estate planning and other legal matters.